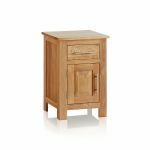 The Rivermead Natural Solid Oak Bedside Cabinet will complement any Rivermead bed perfectly. 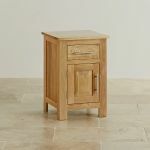 Re-inventing the entire bedroom in a cool and contemporary solid oak style couldn't be easier with our stunning Rivermead range. 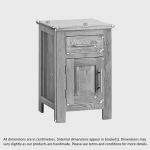 This unit features a small cupboard and a drawer. 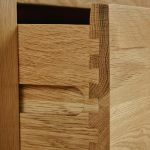 All of our drawers are expertly handcrafted with dovetail joints and a solid oak bottom and back. 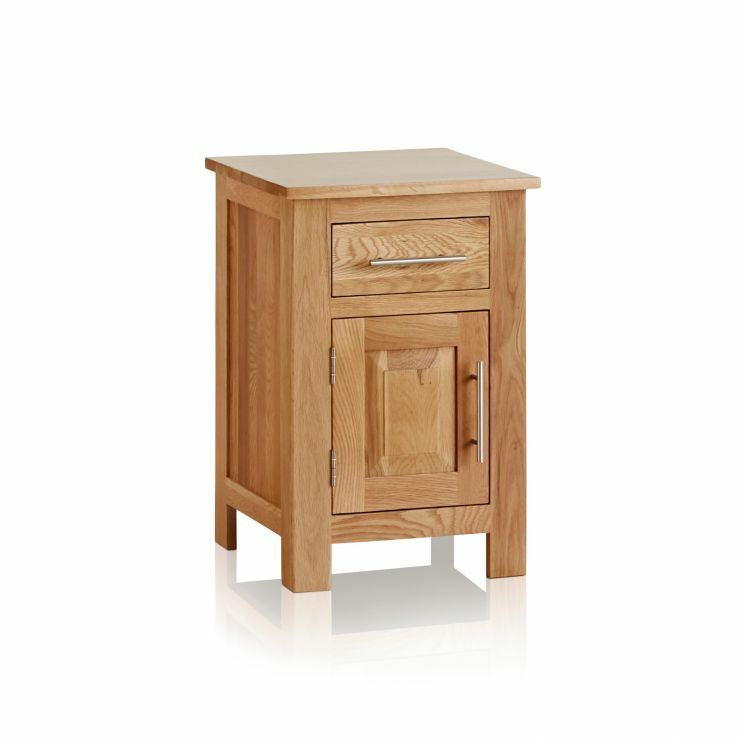 The drawer and cupboard feature slender brushed metal bar handles and a beautifully panelled oak front. The A grade oak is treated in a natural wax for protection and preservation of the natural beauty of the wood. 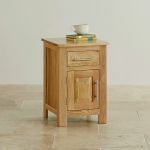 The solid oak top is ideal for a reading lamp and there's enough space to store anything you might need at the bedside.